Although most EV buyers are in cities or suburbs, increasing numbers of people in rural areas are choosing battery powered cars, Normand says. BARCELONA -- The global market for electric vehicles has not grown as fast as Renault expected when CEO Carlos Ghosn announced a bold investment of 4 billion euros six years ago to develop the technology, said Gilles Normand, the automaker’s senior vice president for electric vehicles. 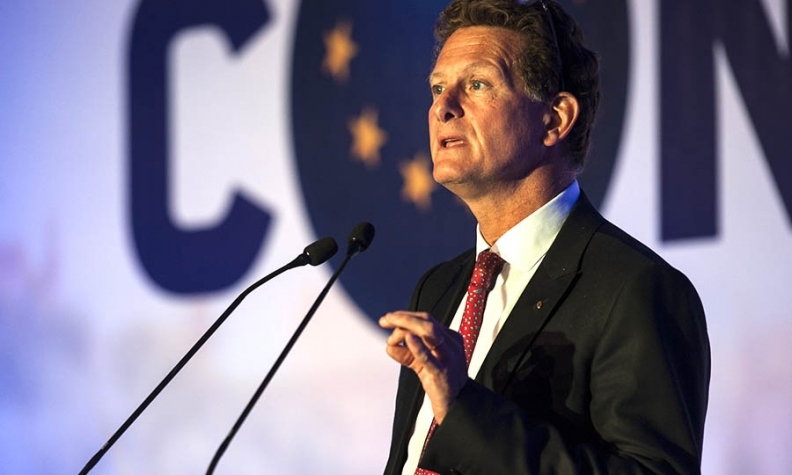 However, electric vehicles are "clearly" the future of the automotive industry, Normand told attendees of the 2017 Automotive News Europe Congress here on Wednesday. In 2011, Ghosn had predicted that the Renault-Nissan alliance would have the ability to produce half a million electric vehicles by 2013. Last year, total sales of electrified vehicles including pure electric and plug-in hybrids from all automakers were about 465,000. While overall sales figures have not hit Ghosn’s early target, the alliance is the global leader with its Renault Zoe and Nissan Leaf electric cars. Normand pointed to a number of technological and regulatory trends, including stricter clean air and emissions regulations. In China, Normand said, the "airpocalypse" is a real fact and is driving government regulations that aim to have 5 million zero emissions vehicles on the road by 2025. In India the government has announced "massive" investments and wants to see 100 percent electric vehicle use by 2030. "Electric vehicles are a good short term answer for particulate emissions, and a long term solution for climate and CO2 emissions, together with cleaner energy generation," he said. The spread of fuel economy standards around the world -- 83 percent of the global auto market is bound by such standards, Norman said -- is forcing automakers to rethink their product offerings, he said. "We need to learn a new way to consider our lineup, taking CAFE into account, calibrating it through efficiency," Normand said. Competition will also help the EV market grow. In 2011, Renault, Nissan, Tesla, PSA Group and Mitsubishi were the major players in electric vehicles. In 2017, nearly every major manufacturer has a comprehensive EV strategy. "This is very good news for us," Normand said, because it will bring more choice for consumers and new investment from suppliers and manufacturers. Consumers are becoming more receptive to electric vehicles, Normand said. Comparing Zoe buyers of five years ago to today, he said they are now more mainstream and more widely distributed rather than merely eco-sensitive. Although most EV buyers are in cities or suburbs, increasing numbers of people in rural areas are choosing battery powered cars as EVs become able to travel longer distances before needing to be recharged. Only 9 percent say charging infrastructure is a concern compared with 37 percent five years ago. Looking ahead, Normand pointed to figures from Morgan Stanley that predict that EV sales will gain momentum, reaching 16 percent of the global market by 2030 and surpassing internal combustion powered models around 2040. Automakers will continue to struggle to overcome EVs' traditional hurdles of costs, range anxiety and charging time, Normand noted. He said that over five years, it will still more expensive to own a Zoe than a Renault Clio, but he thinks the gap will be “neutralized” by 2020. Asked if there was a "magic number" that would erase range anxiety, he said it varied by segment and usage. For subcompact EVs, he said, it is probably close to the current tested range of 400 km and real-world range of 300 km for the latest generation of Zoe, introduced late last year. In the compact and midsize segments, the figure could be as high as 600 kilometers of actual range, he said. The next generation of Renault and Nissan electric vehicles are expected to appear in 2020 and share a common platform. Normand said more details of those cars will be released in the autumn when Ghosn announces new strategic plans for Renault, Nissan and the newest member of the alliance, Mitsubishi. Electric vehicles are not merely tools to meet emissions regulations, they are also fun to drive, Normand said. "We don’t want them be seen as a car which I need to have because I am ecosystem friendly," he said. "They are a lot of fun, they are very quiet and torque is delivered in an efficient way. "Ninety-nine percent of customers moving from internal combustion say they will never go back to an ICE product," he said. "That is what is driving our business today."